Pattern is free on my blog, or you can purchase the ad-free, printable pdf version above. 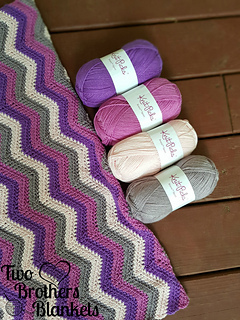 The Herringbone Double Crochet stitch is such a fun, textured stitch to create! And everybody loves a good chevron print, am I right?! 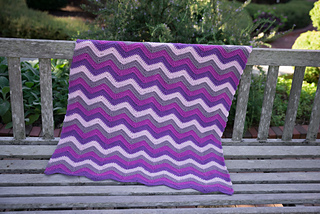 The Happy Herringbone Chevron Blanket combines the two to create this gorgeous project! 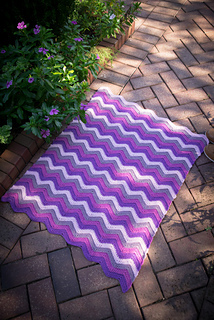 Uses 1 skein of 4 different colors of Knit Picks Brava Sport. But you can combine colors and stripes however you choose!